Pre-engineered metal buildings (PEMB) are an ideal choice for both new construction and residential or commercial expansion. More and more, entrepreneurs and homeowners alike are choosing a PEMB solution for their new construction and development needs. Highly durable and practically maintenance free, pre-engineered metal buildings can be customized to meet a desired look and function, reduce construction costs, and shorten project timelines. Read on to learn more about why PEMBs are fast becoming a new standard for new construction. Contrary to traditional construction, pre-engineered metal buildings are designed and manufactured offsite to allow for easy and streamlined assembly at the construction site. Construction preparation, including needed demolition, foundation arrangement, utility work, and pavement work can be completed as the building components are being manufactured to your precise specifications. When complete, the pre-engineered building is shipped to the job site along with the necessary hardware needed for your construction contractor to assemble the structure. Due to this pre-planning and manufacturing process, delays are minimalized. Shortened construction timelines translate into decreased labor costs and allow clients to receive a faster turnaround on their investment. 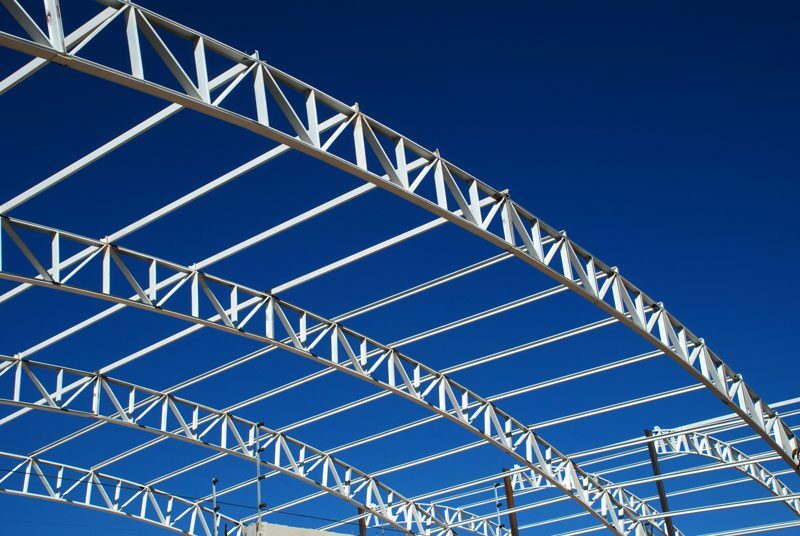 The inherent strength of steel makes pre-engineered metal buildings strong and long-lasting. Capable of lasting for decades with minimal maintenance, your PEMB will remain useful throughout its entire life. Unlike more traditional construction materials like wood, which is easily compromised by moisture and pests – steel will not rot, warp, or bow. As framing loosens, rooflines sag, and nails pop out on buildings constructed of lumber – a pre-engineered metal building will remain strong, straight, and aesthetically pleasing for the entire life of the structure. Another reliable quality of a pre-engineered metal building is their ability to withstand natural elements year after year. From high-winds and heavy rain to even resisting fire and earthquake damage, a PEMB is built to last and last. Furthermore, galvanized steel panels are rust and corrosion resistant allowing them to be built in areas of high humidity, heat, or rainfall. Since pre-engineered metal buildings are so durable and weather resistant, they essentially require substantially less maintenance than their more traditional counterparts. Steel buildings are not vulnerable to rot, mold, or pest infestations. When components are less susceptible to damage, they don’t require periodic replacement and coated steel does not require repainting. Steel surfaces are easily cleaned with water and mild detergent as well. Minor general repairs and preventative maintenance is all that is required to keep your PEMB looking great for years to come. No matter what a client may like, a structure can be custom-built and manufactured to precise specifications. Warehouses, churches, schools, homes, retail spaces, and much more make ideal PEMB projects. In fact, depending on intent, steel buildings can be designed to incorporate and blend in with their surrounding environment or made to attract attention and highlight their own unique architecture. Steel roof panels can simulate asphalt & wood shingles. Steel framing can be concealed with stone or synthetic materials. Steel wall panels can be painted any color or made to simulate masonry. The manufacturers of pre-engineered metal buildings can create components featuring different textures, shapes, and colors. This versatility gives clients the ability to erect structures that not only carry the inherent strength and efficiency of steel but with the look and feel of more traditional materials and architecture. The advantages of a pre-engineered metal building are not difficult to understand and when compared to traditional structures, it is easy to find the value in their durability, quick turnaround, and cost-effectiveness. At FDC, we know metal buildings and have been constructing PEMBs for nearly 40 years. We’ve built everything from wineries and warehouses to airport hangers and self-storage units and know how to cater to almost every building type. To learn more about pre-engineered metal buildings and how you could benefit, please call or contact us online today!